UCLG: The SDGs will not be achieved without reshaped subnational financing! From 23 to 26 April 2018, a delegation of local and regional governments, led by UCLG on behalf of the Global Taskforce of Local and Regional Governments, took part in the third ECOSOC Forum on Financing for Development follow-up. On Monday 23 April, Parks Tau, President of UCLG, led the Delegation of Local and Regional Governments during the first Ministerial Round Table of the Third Financing for Development Follow-up Forum. 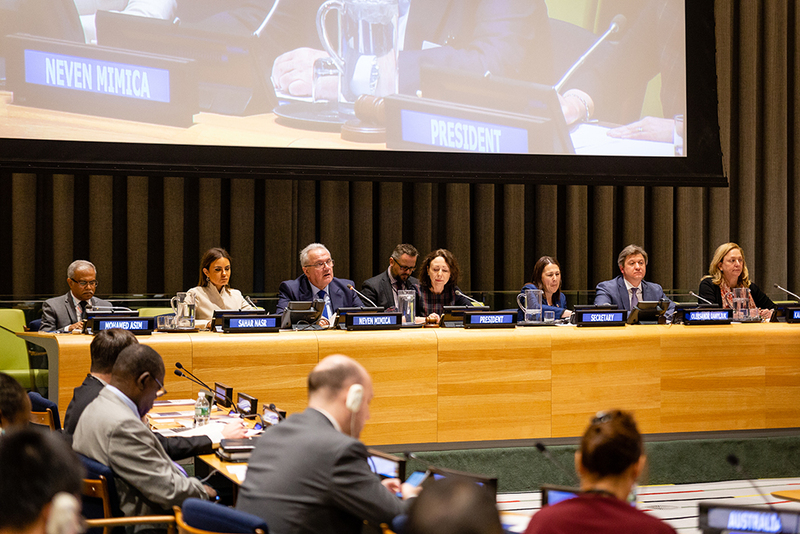 Each year, the ECOSOC Forum convenes to present the Interagency Task-Force Progress Report on the implementation of the Addis Ababa Action Agenda. As lead discussant, Parks Tau welcomed the inclusion of a specific section on Subnational Finance in the 2018 IATF Report and reinforced the importance of having local governments participating in the monitoring process of the global agendas. 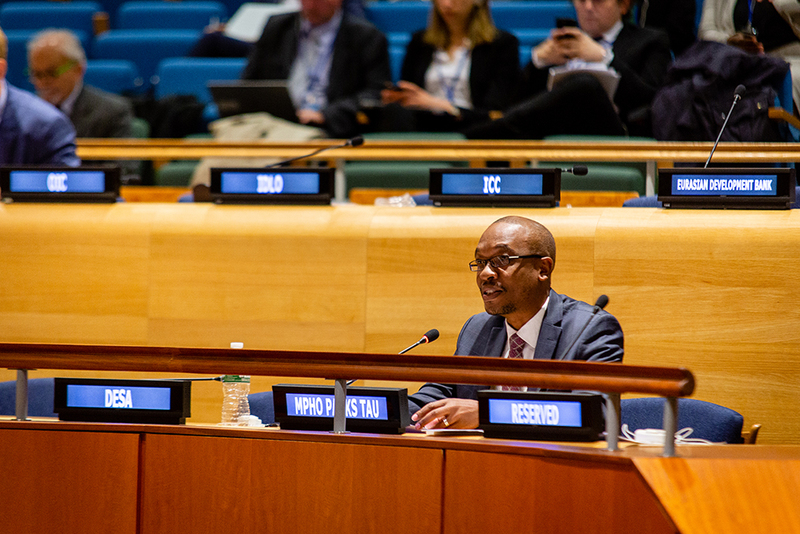 On behalf of the Global Taskforce, Parks Tau praised the call made in the Outcome Document of the 2018 Forum on Financing for Development for Member States to “strive to strengthen revenue collection and related accountability mechanisms as well as public service delivery at the national and sub-national levels”. He insisted, first, on pursuing fiscal and governance reforms to allow local governments to mobilize a more diverse set of development finance options and be more strategically included in domestic resource mobilization strategies, and second, on improving intergovernmental transfers towards a more predictable and transparent framework. The initial keynote speech addressed by Donald Kaberuka, High Representative of the African Union Peace Fund, set a stimulating framework for discussion. From his perspective, the funding paradigm has shifted since Monterrey, in 2002. The discussions are no longer centered on Official Development Assistance from the Global North to the Global South, but rather on enhancing domestic resource mobilization to the benefit of greater equality. To solve the issue of more decent jobs and income flows, the financial sector must create incentives to move towards a long-term profitability framework, aligned with the SDGs. Short-term approaches may hinder any meaningful progress. Likewise, Shamshad Akhtar, Executive Secretary of United Nations Economic and Social Commission for Asia and the Pacific (UNESCAP), recalled that the efforts to empower subnational governments in national urban strategies and adequately reshape financial intermediaries to support urban investment are necessary and remain to be carried out. The Director General of the Colombian Presidential Cooperation Agency, Sergio Londoño Zurek, Acting Mayor of the City of Cartagena, recalled the key highlights of the Colombian voluntary report to the High Level Political Forum (HLPF). He mentioned the national strategy that aims to align local and national priorities by creating incentives to invest and budget within the framework of the SDGs. This illustrated the remarks made earlier this day by UNDP Administrator, Achim Steiner, who pointed out that the challenges were not to generate new funds, but to actually channel the existing funds to the territories and projects in need of financing. President Parks Tau expressed his regret as to the lack of reference to urban challenges and to the necessary urban infrastructure needs to achieve the SDGs. Echoing the keynote speech, Parks Tau stressed that local governments and the international community had no other choice than to focus on the adaptation of urban infrastructures to become more compatible with climate challenges, especially in territories facing growing socioeconomic inequalities coupled with the immediate consequences of climate change. He concluded his address by inviting all participants to gain inspiration from the innovative experiences of local and regional governments, committed to the global agenda. The Global Taskforce Statement will be available as a contribution to the Third ECOSOC Forum on FfD Follow-up. The Global Taskforce Statement supports some important highlights of the Progress Report, such as the proposals to foster access to more sustainable long-term finance, and shares the concern that many subnational governments have difficulties to manage the complexity of PPPs. On Wednesday 25 April, local and regional governments will present some of the innovative solutions they have developed to achieve the SDGs, particularly in developing countries and Least Developed Countries, where most of urban growth is foreseen to take place, and where access to available funds remains limited. The Mayor of Ouagadougou, Board Member of the International Association of Francophone Mayors (AIMF) and President of the Association of Municipalities of Burkina Faso, Armand Roland Pierre Beouinde will open the Expert Segment on Domestic Public Resource. He will stress the need for further monitoring of paragraph 34 of the Addis Ababa Agenda to make sure that subnational governments have sufficient financial autonomy to prepare sound financial strategies aligned with the global agendas and enhance their capacity to build partnerships with development banks, to activate climate finance and effective catalytic approaches for stronger urban and municipal finance in developing and least developed countries. 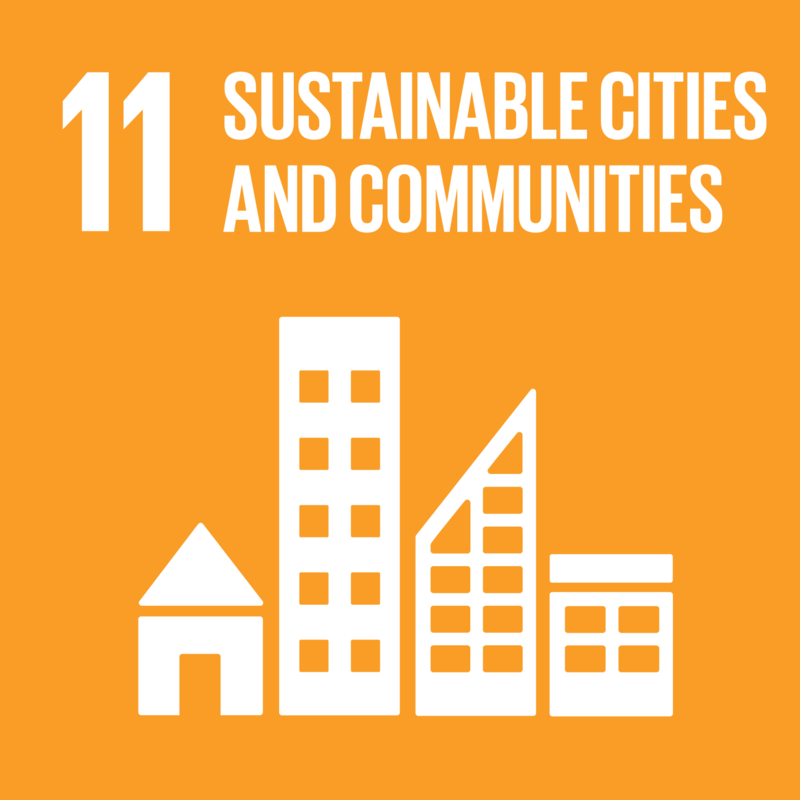 UCLG is also co-organizing a side event with UNCDF and UN-Habitat on Subnational development finance to invest in SDG 11. UCLG Secretary General Emilia Saiz will open the discussion, presenting the UCLG Strategy to Reshape Municipal Financing, starting with building a new narrative on local finance, in particular in High-Level Dialogues. With this in mind, Paul Smoke, an expert in charge of developing the policy paper presented by the partnering institutions, will present the key recommendations towards more sustainable subnational development finance.